Get the fantastic price of $9.99 plus $4.99 flat rate shipping for a 2020 Spiral Red Book. That's a total delivered price of $14.98. You read that right. 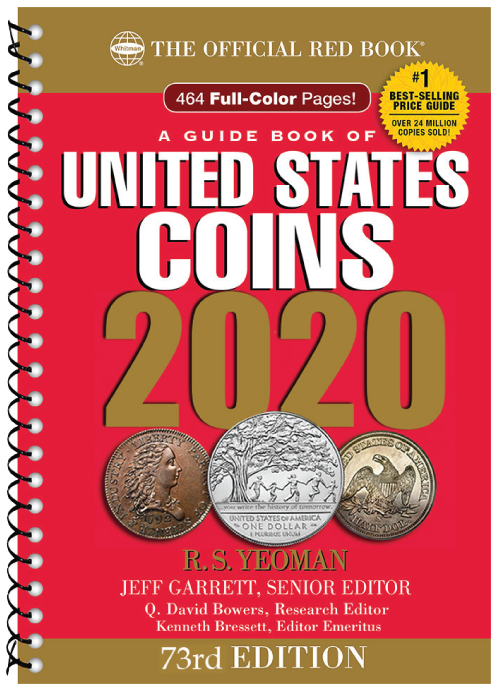 With a publishers MSRP of $15.95, Coin Supply Express is offering the newest Red Books delivered for less than the MSRP! But what about the shipping charges? 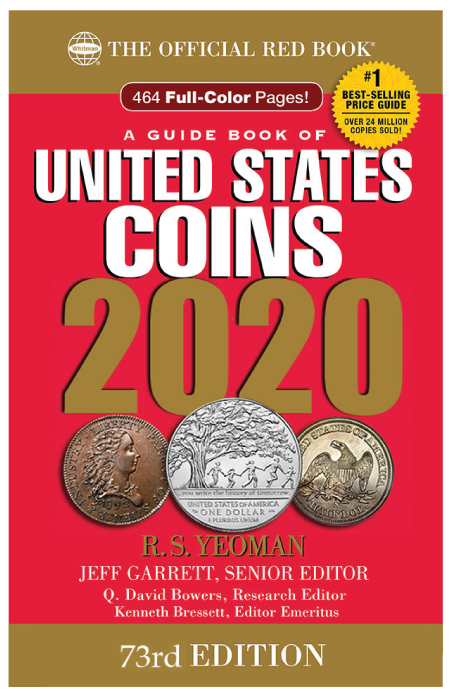 Whether you are shopping for Red Books, or for any of our thousands of in-stock items, Coin Supply Express offers among the lowest flat rates on shipping on every order, every day. Other sellers may appear to offer similar low prices, but just wait until you see their delivery charges. Avoid paying a few pennies less for a product, only to pay several dollars more for shipping. A quick, informal survey of the market shows that our competitors charge between 5 to 6 dollars more in shipping on a comparable Red Book offer. Why pay more in shipping than the product itself? Order today and receive your Red Book with fast flat rate shipping. Red Books ship the week of Publisher's release date, which is April 1st, 2020. Go ahead and order your copy right now. You came in for the great pricing, and we are confident you'll come back because of the customer service. We stand behind our commitment to your satisfaction. 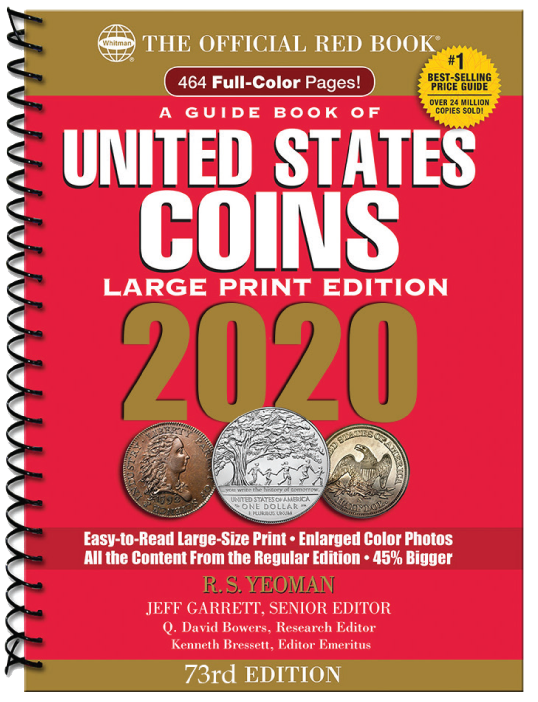 Learn more about every coin ever minted in the United States than you'll find in other guidebook. How rare are your coins? How much are they worth? What size coin capsules do I need to protect them? We are proud to offer the Red Book in several styles. All contain the same important coin information. Our favorite Red Book because it lays flat. As you know, coin collecting is a two-handed sport, especially when you are trying to manage a coin, a magnifier and refer to guidebook all at the same time. Most books want to close, even after you break the spine. This spiral bound book has no spine and each page will lay open as flat as a newspaper; making it the perfect reference book. Overall Size: 5 1/2" x 7 3/4"
Virtually the same as our standard spiral bound, this edition is printed in a larger format that is easier to read and can be especially useful when used as a reference book by those who wear glasses. Overall Size: 9 1/4" x 11"
A traditional hardbound books for those who like the feel of a reading novel. The hardbound edition contains the same information as other Red Books in sturdy cover. Perfect for collectors who also collect price guides. A spiral bound book with an upgraded cover that mimics a standard hard cover that hides the spiral spine.